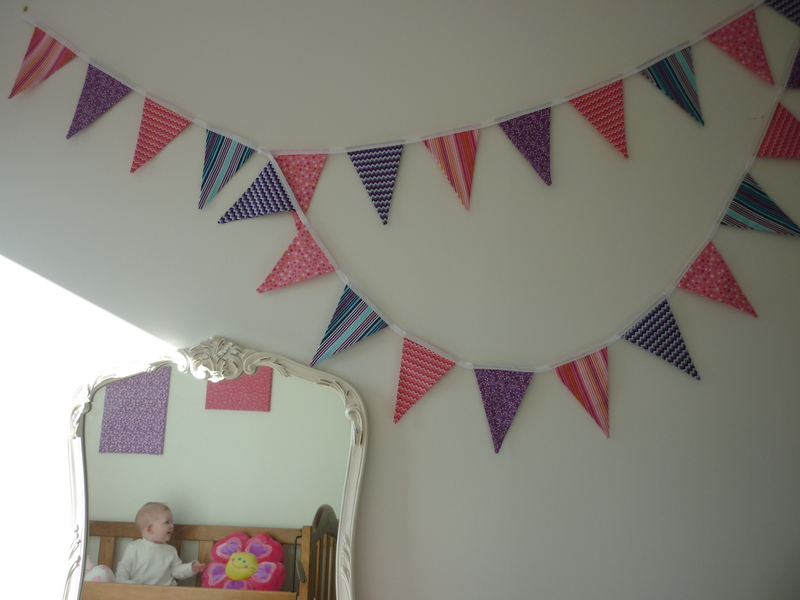 One of the most exciting things any expectant parent can do is set up their brand new little one’s bedroom. 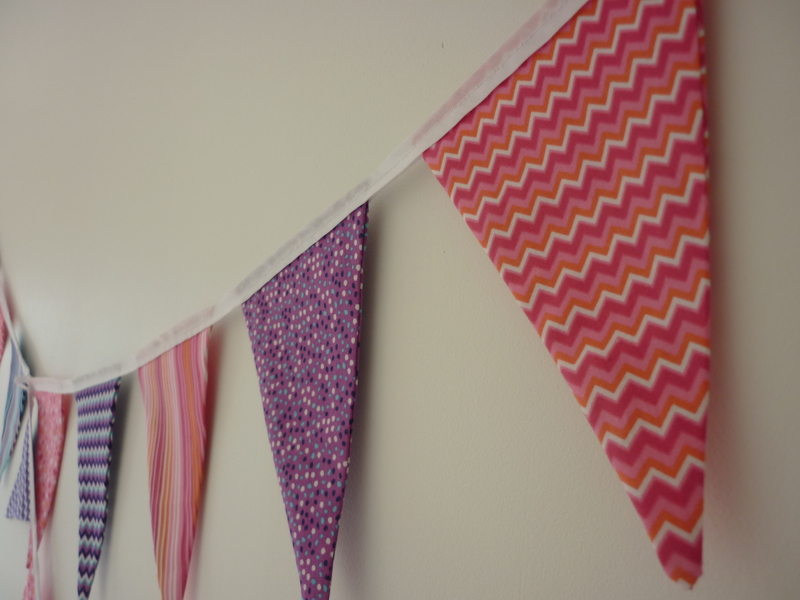 Certainly, for most pregnant women I know, decorating the nursery before baby arrives is a rite of passage; having something prepared physically gives a tangible element to what is happening unseen in our ginormous bellies. Not all mums and dads can do this, for a range of reasons. I wasn’t able to do this as a result of severe pelvic instability. For five long months I lay in bed, staring at the ceiling, thinking of all the things I wish I was doing to get ready for my bubba, in my fantasy world of pregnancy. In all my years of singledom, and those early fantasies of starting a family when I fell for my man, I had an idyllic vision of what I might be like as a pregnant Beck. I would be walking, changing my yoga to suit my growing belly, still going to parties and gigs and the footy “to get baby used to noises,” and crafting my little hand-knitted socks off. By week eight of my pregnancy, this vision began to blur. Then by week 16 it was edited and left on the cutting room floor as I finished work early and began a regimen of icing my poor pelvis every 2 hours, getting a breakfast/lunch/snacks picnic from my lovely husband for they day, researching mobility aids for me instead of knitting patterns for my little one. Toward the end of my pregnancy, I had little choice but to ramp up the painkillers to start preparing my body for childbirth. One thing, mercifully, that I began to be able to do, was to sit up in a chair for about 20 minutes at a time, resting in between for a few hours. So, with this new found time, I decided to sew! 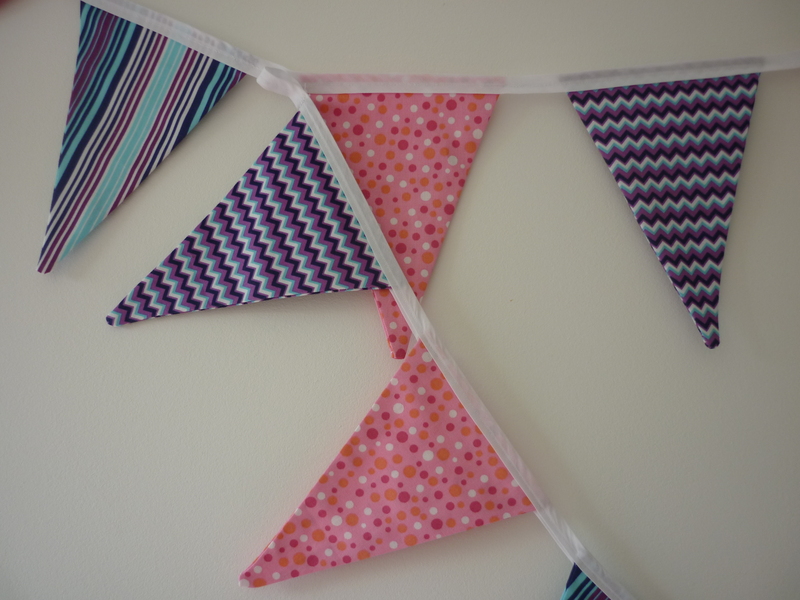 I found this gorgeous tutorial over at this wonderful blog that showed the loveliest, easiest way to make bunting. As I couldn’t paint the walls, a small-scale project that would add some colour into the room seemed a great idea. My hubby would set up my sewing machine for me, and I’d maneouvre the wheelchair in under the table, and sew. Slowly, deliberately, not always very well, but it was the most exciting thing in the world for me to be doing something creative, productive and for my soon to be baby. 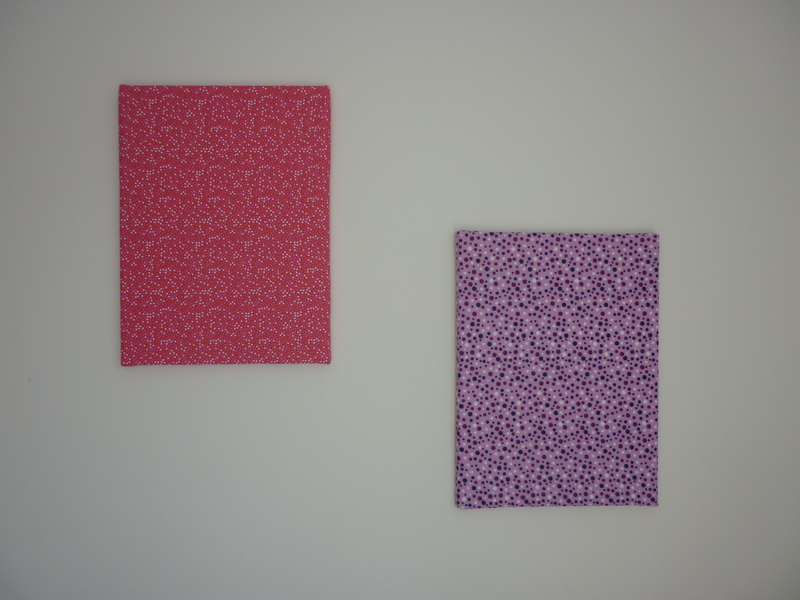 With some of the left over fabric, I covered some stretched canvas frames, in an effort to cover more of the walls. Of course, being the crazy lass I am, now that bub is here and I am well on the road to recovering my mobility, I’ve decided that the colours “just don’t suit baby,” and I’m going to make some more in the cooler colours that my little angel seems to sit with so comfortably. And when I do, I’ll most definitely share the project with you! 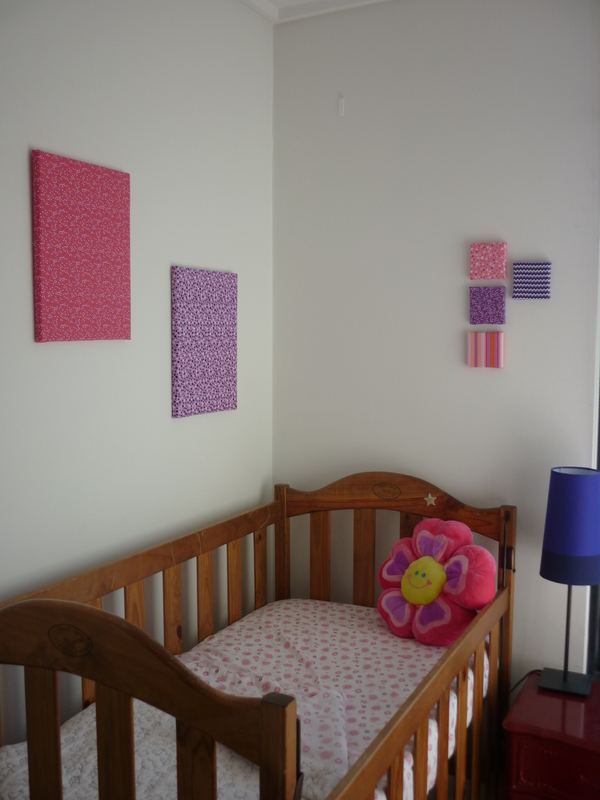 If you have kidlets, how did you set up your nursery? Before or after baby was born? 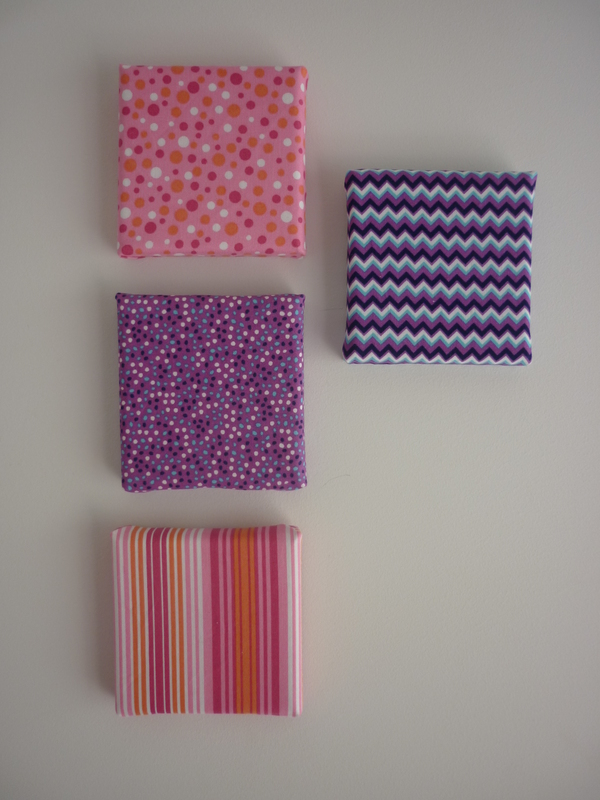 Did you make anything for your little bundle? I’d love to hear your stories!